Look back at Pete Brown&apos;s historic win. Pete Brown, who survived polio as a teenager and then made PGA TOUR history when he became the first African-American golfer to win an officially sanctioned PGA TOUR title, died May 1 in Augusta, Georgia. He was 80. 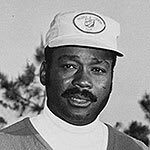 Brown was a native of Port Gibson, Mississippi, and learned the game in Jackson, Mississippi, first working as a caddie. After overcoming the disease, that kept him bed-bound for 11 months, Brown resumed his playing career, and, at age 28, in 1963, he earned PGA TOUR membership after appearing in three TOUR tournaments in 1962. In 356 career starts, where he made 225 cuts, Brown’s two TOUR titles were the highlights. The first came at the 1964 Waco Turner Open in Burneyville, Oklahoma, at an event named for a well-known oilman in the area. After opening with a pair of 71s, Brown moved into contention with a third-round 68 to trail 54-hole leader Dudley Wysong by a stroke. Brown fired a 70 on the final day to edge past the field and defeat Dan Sikes by a shot. Later in the year, at the Sunset-Camellia Open in October in Rocklin, California, he tied for second, a shot behind winner Bob McCallister. Two starts later, also in California, Brown just missed making it a multi-win season when he finished regulation tied with Billy Casper and Jerry Steelsmith at the Almaden Open in San Jose. The trio played an 18-hole playoff Monday, with Brown and Casper still tied after the additional 18 holes. Casper then won on the third sudden-death hole. Brown completed that season 29th on the money list, pocketing $21,796, his career-best position on the earnings’ chart. Brown’s second TOUR title came at the 1970 Andy Williams-San Diego Open when he prevailed over Tony Jacklin in a one-hole playoff four months before Jacklin won the U.S. Open. “Pete was a gentleman and a credit to the game. He will always be remembered for blazing a competitive trail when he became the first African-American to win on the PGA TOUR. The fact that Pete went on to win a second tournament six years after his first, along with three runner-up finishes, showed what a truly fine player he was. Our thoughts are with his family at this time,” said PGA TOUR Commissioner Tim Finchem. Brown played the TOUR full-time until 1978 when he curtailed his playing schedule. His final made cut came at the 1981 USF&G New Orleans Open (tied for 70th), and he played his last TOUR event in 1985 outside San Diego at Torrey Pines Golf Course, site of his second TOUR title. After turning 50, Brown played on the Champions Tour, recording 80 starts, with ties for sixth in 1985 at both the SENIOR PGA TOUR Roundup and the MONY Syracuse Senior Classic his best performances.